When a person is arrested for driving while intoxicated in New Jersey, they will have a lot to think about. From the consequences in the event of a conviction to the money that it will cost to formulate a defense even if there is an acquittal, the entire process can be a time-consuming and costly endeavor. Drivers in New Jersey can be arrested for DWI if they register a blood alcohol content (BAC) above certain levels. These levels vary depending on the age and type of license a driver has. Along with the different levels of charges, the penalties also vary. A driver who is age 21 or over will be arrested and charged with DWI if they register a BAC of 0.08% or above. If the driver is under age 21, the level is 0.01% to be charged with DWI. If the driver has a commercial (CDL) license, the level is 0.04%. When a driver is stopped by law enforcement on suspicion of DWI, there will be certain procedures the officer will follow. They will look for signs of intoxication such as slurred speech and bloodshot eyes. Then they will conduct field sobriety tests such as the walk-and-turn and horizontal gaze nystagmus. After that, they will give a breathalyzer test. If there is sufficient evidence that the driver is intoxicated, an arrest will be made. As the DWI case moves forward, there is a timeline for the process. A person charged with DWI will have to appear at an arraignment. This is also referred to as “first appearance.” At an arraignment, you will have the charges read to you and your attorney. You will be told your rights and enter a plea of guilty or not guilty. In New Jersey, a defendant is allowed to enter the not guilty plea through the lawyer. Because of that, you won’t have to attend the arraignment. 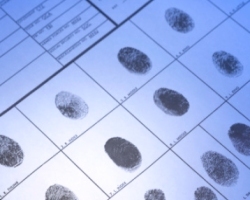 If you plan to give a guilty plea, you will have to appear. After your not guilty plea has been entered, the case will move forward with the pre-trial discovery phase. This means that the defense attorney has the right to see all the evidence the prosecution has against his or her client. This will include the police reports, the results of the breathalyzer and blood test, and any statements the defendant might have made from the time of the arrest onward. The prosecution is legally required to comply with the defense’s request for this information. If they refuse or fail to do so, the defense can request court order for the information with the threat of the case being dismissed if they don’t acquiesce. Next, your attorney will make pre-trial motions. This is an attempt on the part of your attorney to receive some relief. Examples of motions your attorney will request include: requesting discovery that has yet to be provided; suppressing evidence that might have been obtained unlawfully or violated your rights; the place limits on the testimony that prosecution witnesses are able to give; and to have the charges dismissed completely for a variety of reasons. This is also a common time for your lawyer to discuss possible plea deal arrangement. Technically NJ does not allow for plea deals in DWI cases. If there are other charges and the evidence supporting a DWI conviction is not the strongest, the prosecutor may opt for a deal. The case will then go to trial. 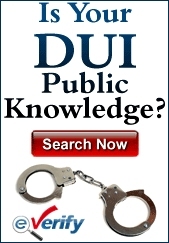 In New Jersey, defendants do not have the right to a jury trial when charged with DWI. This doesn’t apply when there is a felony DWI charge. The case will be heard by a single Municipal Court judge. This judge will hear the evidence, preside over the proceedings, make the decision and decide on the sentence if there is a conviction. While a trial is not like it is shown on television, there are certain aspects that are accurate. For example, a defendant is truly innocent until proven guilty and if the defense attorney believes that the prosecutor has not proven the case beyond a reasonable doubt or enough doubt was raised during cross-examination, there might not be a need to call any defense witnesses or for you to take the stand in your own defense. The attorney will ask the judge to make an immediate decision to dismiss the charges and acquit the defendant. If this is denied, the trial will continue with the defense being presented. After the prosecution and defense have presented their cases, the judge will make a decision. The decision can be guilty or not guilty. If there is a finding of not guilty, the case is over. If there is a finding of guilty, the judge will then be responsible for imposing a sentence. When there is a conviction, the defense will have 20 days to appeal the verdict. This will be done in front of a higher court with a Superior Court Judge. This judge will examine the case from the Municipal Court, listen to the arguments presented by the defense attorney and render a decision as to whether the decision should be overturned. There cannot be any new evidence added to the case. The Superior Court Judge can’t dispense a sentence that is lengthier or harsher than the one issued by the Municipal Court Judge. In the event that the Superior Court Judge upholds the verdict, the defense can appeal again within 45 days. This appeal will be to the Appellate Division where it will be heard by a multi-judge panel. If that is rejected, the defendant will have to serve the sentence which can include jail time, fines, a driver’s license suspension and the possibility of having an ignition interlock device placed on the vehicle.